Sweet tooth anyone? Well then Gujarat is the place for you. Do you know it serves the best sweet dishes in the country? With a fine range of variety of sweets to offer, Gujarat sure seems to attract bees (sweet lovers, duh) from all over the world. The best part about Gujarati sweets is you find it healthy and keep a calorie count and fat at bay. It is rightfully the best place to feed your taste buds to the sweetness of life. So let’s check out the best of their dishes. 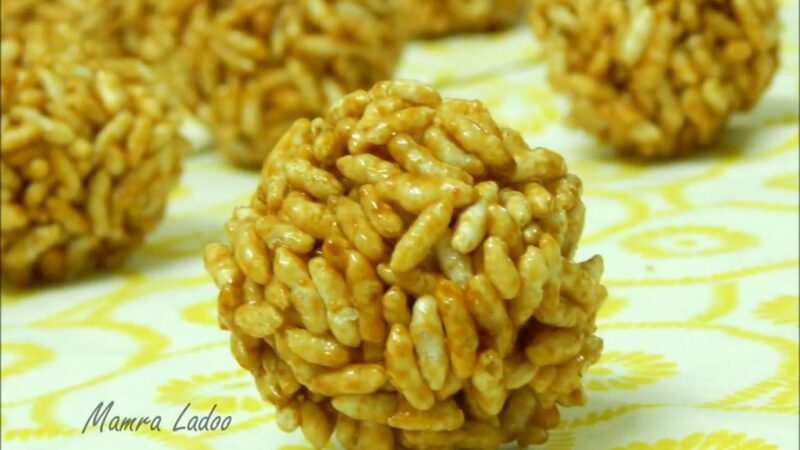 Let’s simplify it, mamranaladoo are balls made of puffed rice and jaggery. 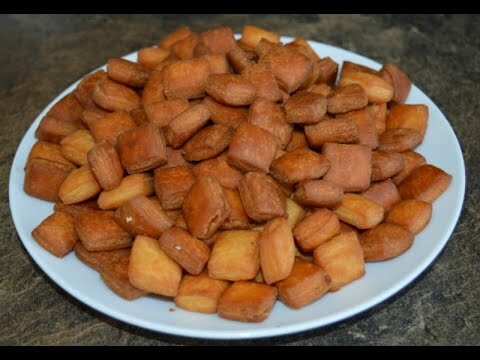 Kids love to gorge on it as they make for the best evening sweet snack. They are crispy in nature and yum is the word. Like peanuts? 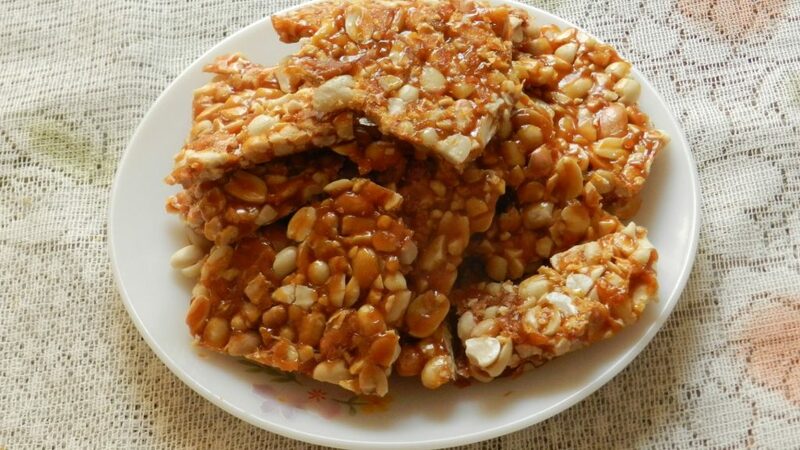 Well then try these, they are cubes of jaggery induced peanuts, hardened to make it crisp and well hello sweetness, it is delicious. 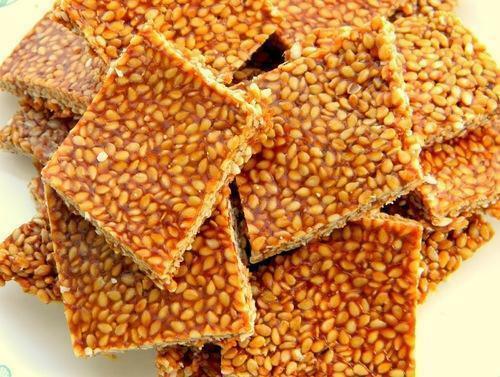 Similar to sing chikki,tilchikki is made of sesame seeds and jaggery. Good for health because it helps in good digestion. It comes in cute flat cubes and looks like an embroidered plates. Nope, not even closely related to the traditional skirt ghagra. 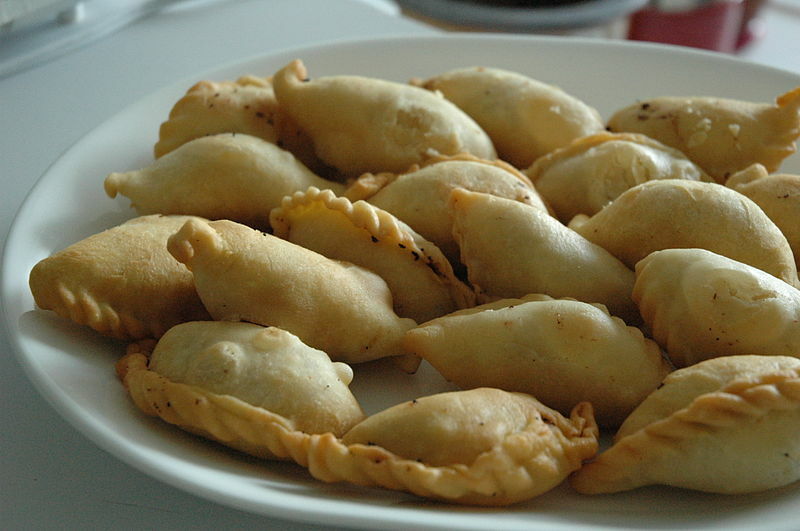 Also known as ghujia or karanji,ghughra is a fried delicacy with flour wrapping and stuffed coconut and fruits. Have it with tea and expose your tongue to deliciousness. 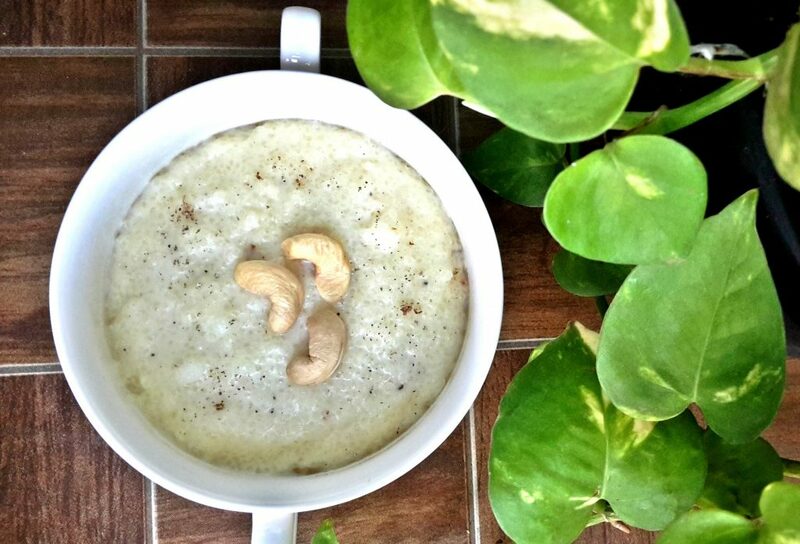 It is a rice pudding that is white in color that has milk in it. Looks gooey but tastes amazing, this dish is best eaten after a light meal. Or maybe one can just have it as a proper meal itself, because it is quite filling. It is a diamond shaped, crispy sweet coated with sugar giving the taste buds an absolute aphrodisiac in terms of food. 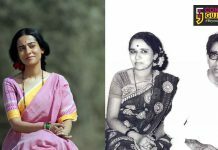 It is mainly made during the festive season like Diwali and Janmashtami (main festivals of Gujarat). 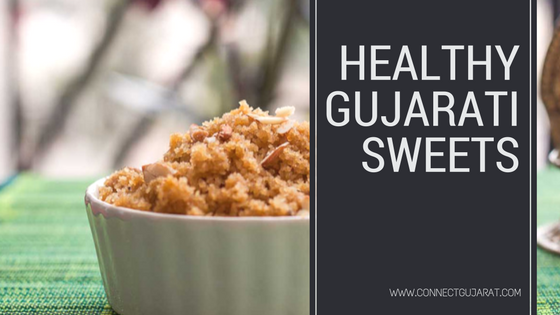 These were the healthiest of sweet dishes found in Gujarat if you are looking for a chance to cheat on your diet and not add many calories. Don’t worry, no one will know, it is strictly confounded to your little tummy.